Since 2007, Tire Stickers has been serving the automotive community with custom branding solutions. 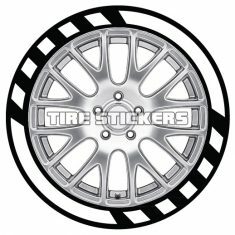 Through collaboration with tire companies and motorsports teams, Tire Stickers has developed patented products that have revolutionized the way brands are represented in the industry. Our innovation has brought forth a shift in the way tire branding is performed and represented through multi-color high-definition designs, increased durability and ultimately enabling a more cost effective and efficient application that fully represents the brand identity. Building on the foundation of our experience and relationships in motorsports, Tire Stickers has brought innovation to the everyday consumer market. Whether the need is short term application for shows, special events and promotions (charities, races, etc) or full life-cycle performance, Tire Stickers has you covered. Buyers are responsible for all shipping costs unless otherwise specified. International customer orders will be subject to duties and customs to be paid directly to the carrier and / or customs agency. USPS First Class and Priority mail are NOT guaranteed for international delivery and lost packages by these methods are not eligible for refund. Lost or damaged packages available for refund require buyer to submit claim with chosen carrier for investigation. Tire Stickers will not provide refund or replacement until carrier investigation claim is complete and funds have been refunded. In the event of urgency, replacements can be ordered at full cost and the lost package refund will be issued upon return of funds from the chosen carrier. We will refund, replace or issue store credit for any manufacturer defect, lost package sent via UPS, or wrong sizing of brand name designs. Exchanges require 10% restock fee and additional shipping cost and are only eligible for our permanent products due to the shelf life of the short term adhesive. For all custom orders, a store credit will be issued for manufacturer defects. Graphic Previews will be shipped after 5 business days if customer has not provided approval or adjustment to preview. Claims for defective product must be submitted with photographs of the product depicting the defect or returned to Tire Stickers. Buyer is responsible for all shipping costs. Policy is in effect 30 days from purchase date. 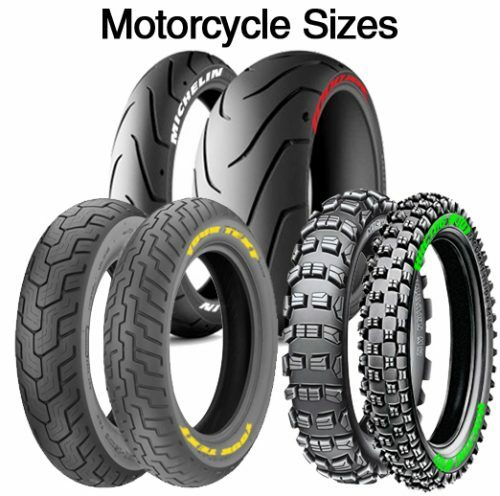 Our Permanent Raised Rubber Tire Stickers are under warranty for free replacement only through Pre-Lettered Tire purchases and installations at our factory. Abrasion damage due to curb, wheel well, wheel mounting, car wash or similar is not under warranty though repair and replacements can be purchased. Installations by distributors and DIY kits do not carry product warranty through TireStickers.com. Pre-Lettered tires on non-returnable products. For replacement letters, words or symbols please email [email protected] with your order details and replacement requirements for a custom invoice. Our mission at Tire Stickers is to match customers with premium products and innovative designs that provide a unique, eye-catching look. That means leading the industry in quality, performance, and customer service. We strive to develop lasting relationships with customers, which means satisfaction in every purchase and continuous collaboration to meet requirements and innovate together. We pride ourselves in the outstanding level of customers service we’re praised at providing each and every customer. If you do not receive feedback on an inquiry within 24 business hours please contact us again as the initial inquiry was not received. Any complaints will require submission of photos in order to properly resolve a concern. Welcome to TIRE STICKERS®, the world’s first and only official global provider of unique branding solutions engineered for simple, steadfast application to tire sidewalls and rubber surfaces.